Cream Cheese Frosting is a must-have on carrot cake, indulgent when paired with red velvet cake and irresistible on Italian cream cake. Take a look at the recipe below (enough for a 9-inch two-layered cake), and tell us how you plan on using this frosting in your baking this year. 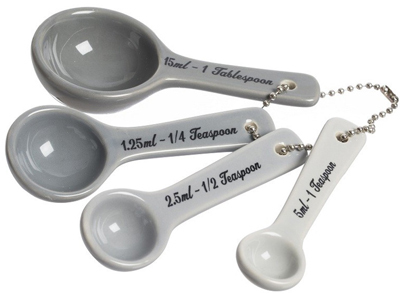 Place butter and cream cheese in a large bowl and beat with a mixer on high speed until smooth. Gradually add powdered sugar, beating at low speed until fully incorporated (do not overbeat). Add vanilla extract and beat well. Place 1 cake layer on a plate; spread with one-third of frosting. Top with other cake layer. Spread remaining frosting over top and sides of cake. Enjoy! 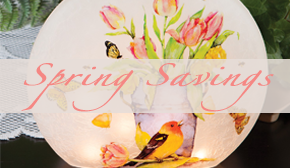 These five must-haves take your outdoor living spaces from post-winter drab to cheerful spring freshness. 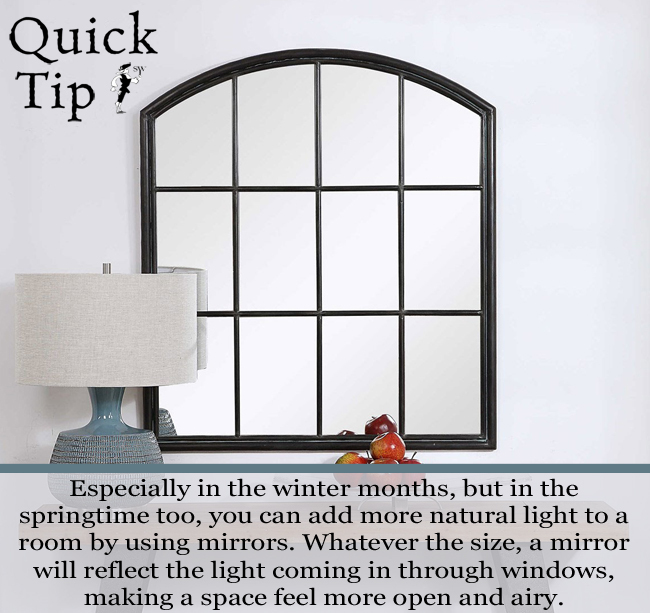 Click on each image to learn more, and share your personal must-haves for elevating the charm of your backyard and/or garden in the spring. We always say that a decorative doormat can transform a porch, front stoop or entryway in an instant. 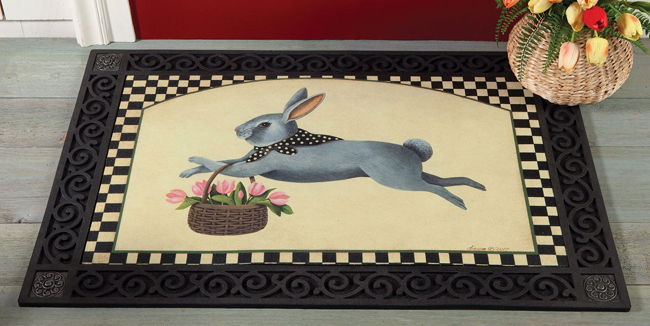 This USA made doormat features a design by artist Dianna Swartz, and emanates both spring sweetness and country charm. 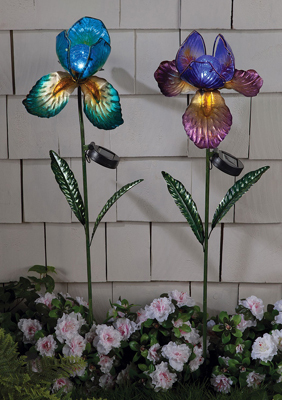 The newest of our flower light stakes, this lighted garden stake celebrates the beloved spring Iris with seasonal color and a stylish shape. 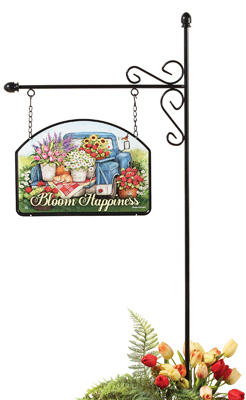 This spring sign and garden stake combo is a welcoming sight in any outdoor living space, and with new signs coming in summer, this must-have will also be a perfect fit for seasons following spring (sign featuring artwork by Susan Winget). 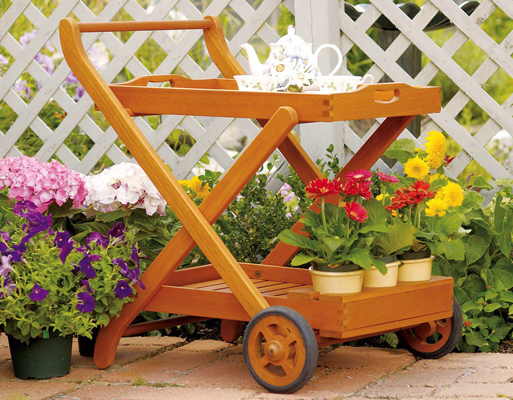 This multi use cart can function as a place to hold plants and flowers waiting to be planted, or as a serving cart during an outdoor party. The removable top tray can be relocated to a bench or table, and the eco-friendly eucalyptus wood is perfect for the outdoors. This garden stake makes even windy spring days fun and cheerful. 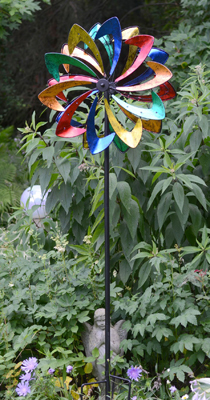 The wind-activated spinner features the colors of the rainbow, and three of the fans hold small lights for an illuminating effect.